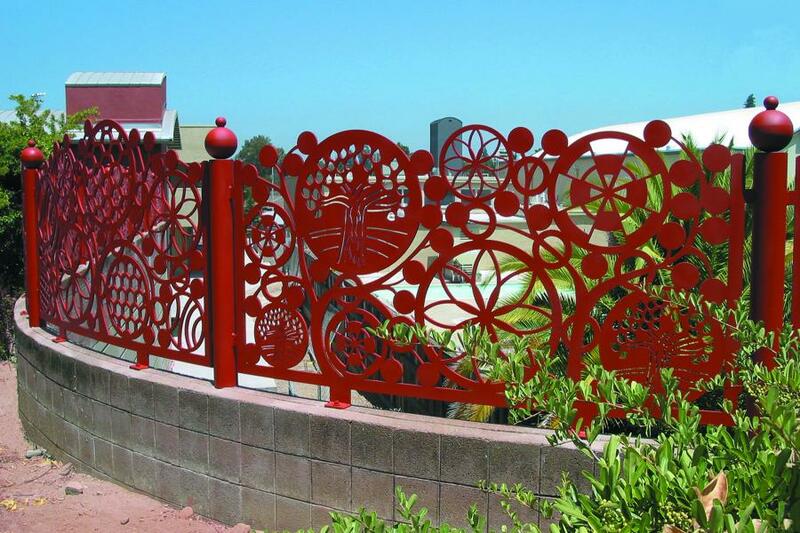 A barrier fence for Los Gatos High School. Local artist Elke Groves, served as liaison between the students, teachers, Gould and Rogers and gave presentations in classes and site committee meetings. Drawing on the theme of the interconnectedness of campus life, Gould and Rogers had the students create symbols for their curricular and extra-curricular activities such as music, science, sports and art. 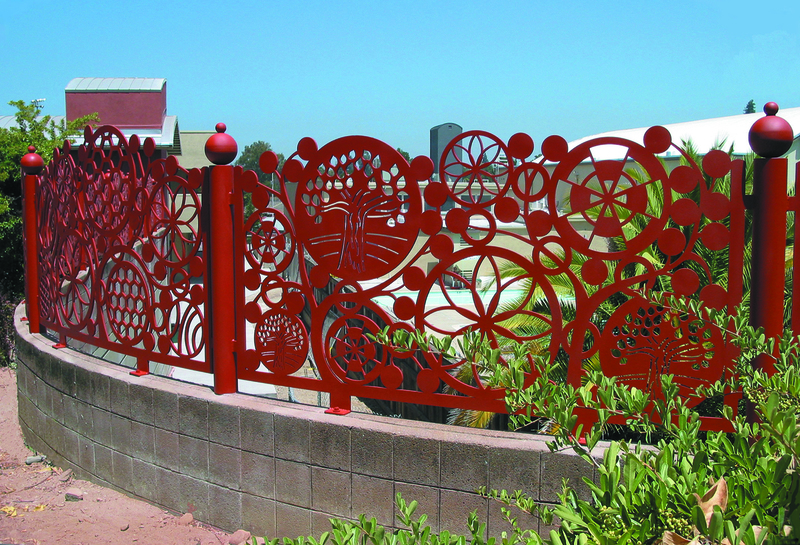 The students’ work, scanned and drafted in the computer by Danny Bittiker from Rocky Maramonte’s class, was integrated into the design of interlocking circles and translated into steel through the water-jet process.